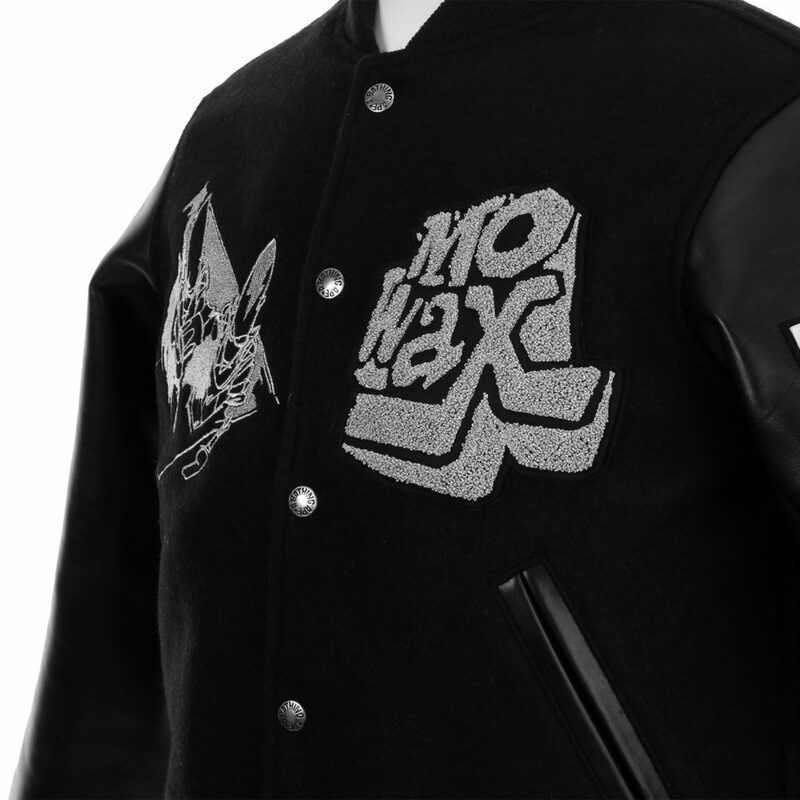 After the recent Nike x Mo’ Wax madness, here’s a new and even more expensive jacket with a Mo’ Wax logo on it. 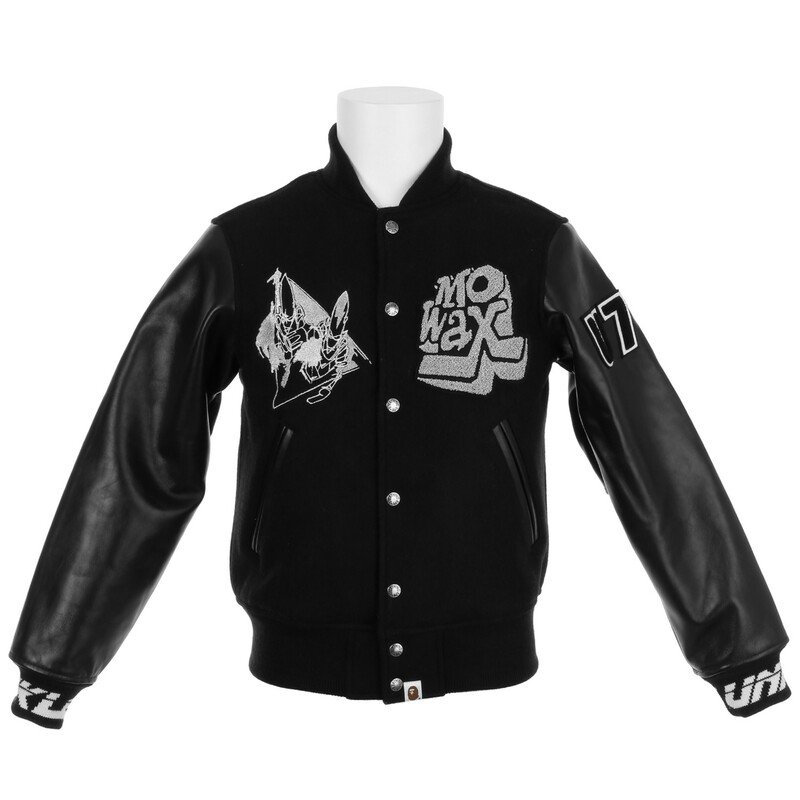 And this time it’s a very obvious collaboration with A Bathing Ape, on a black varsity jacket. 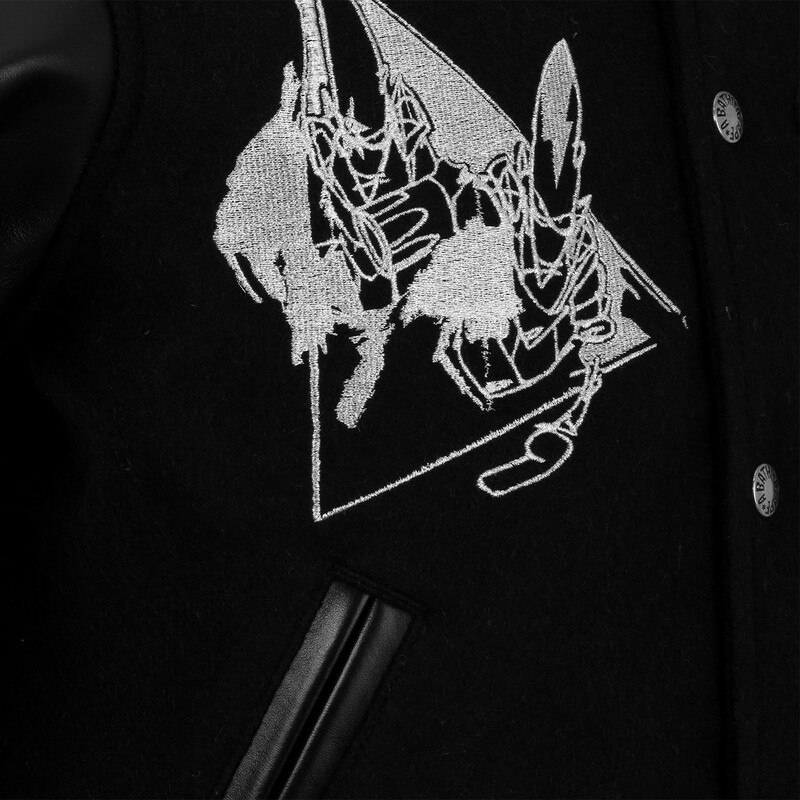 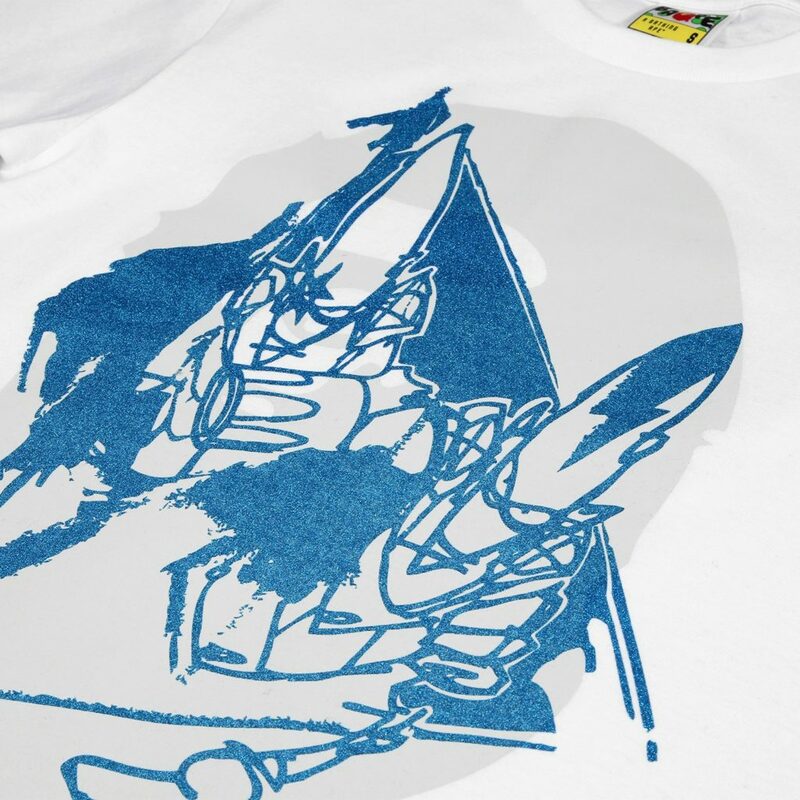 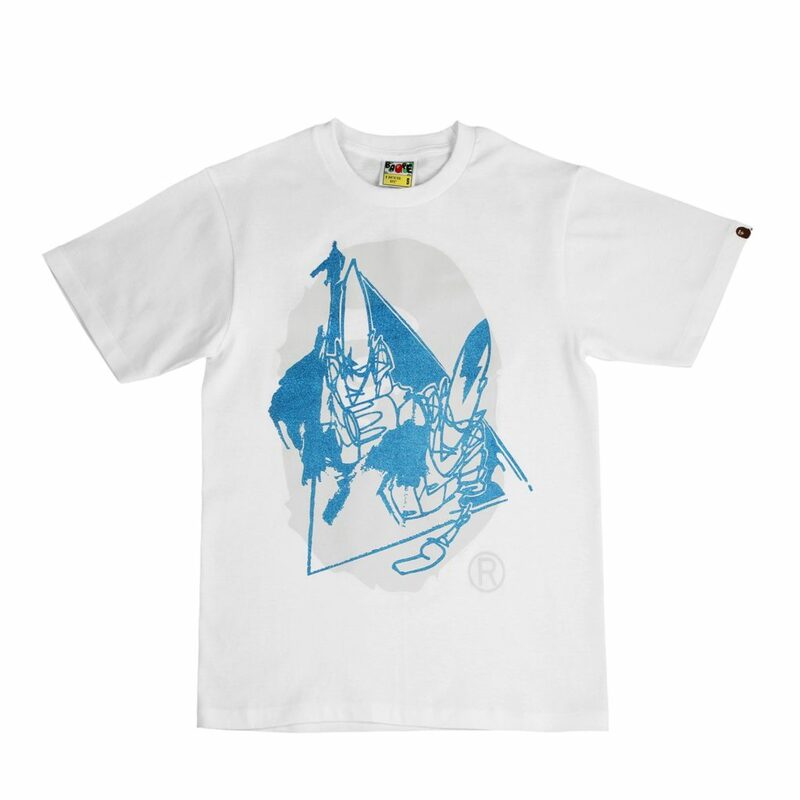 The jacket features a fat 3D Mo’ Wax logo (from the late Mo’ Wax days) and the classic UNKLE triangle logo by Futura on the chest, as well as the Futura “DJ Pointman” artwork -another classic, as seen many times on the UNKLESounds project- on the back, and the Psyence Fiction UNKLE logo on parts of the jacket I definitely don’t know what they’re called, but you’ll see that on the pictures below. 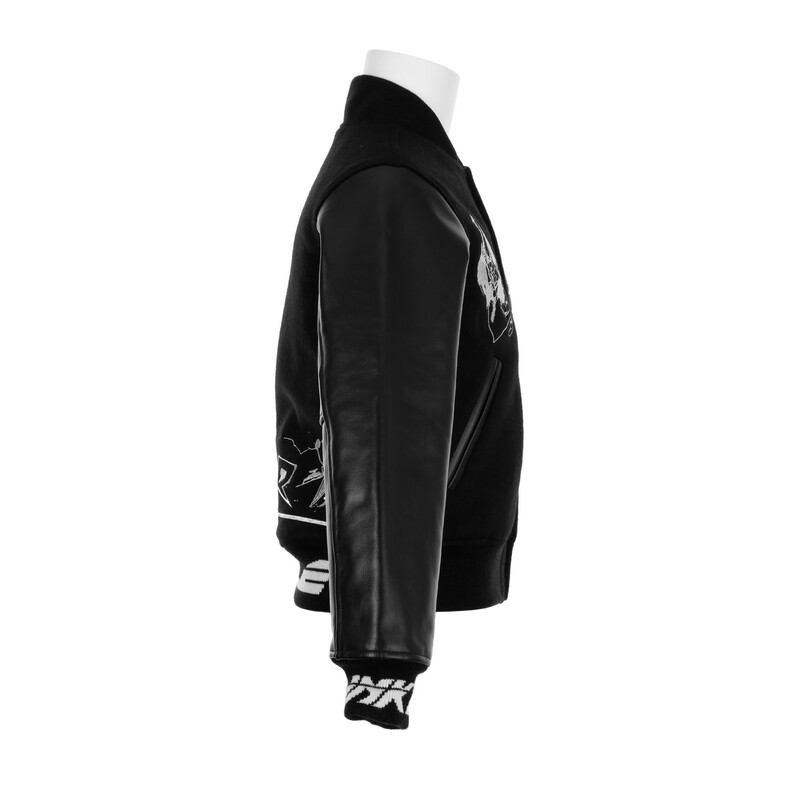 Given the 890€ (about £700 / $1100) price tag I think this jacket will not be as popular as the Nike Destroyer. 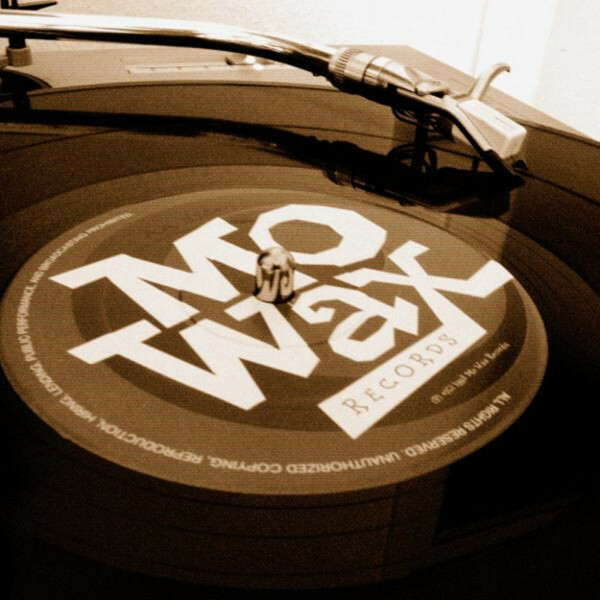 But I’d prefer some music, please! 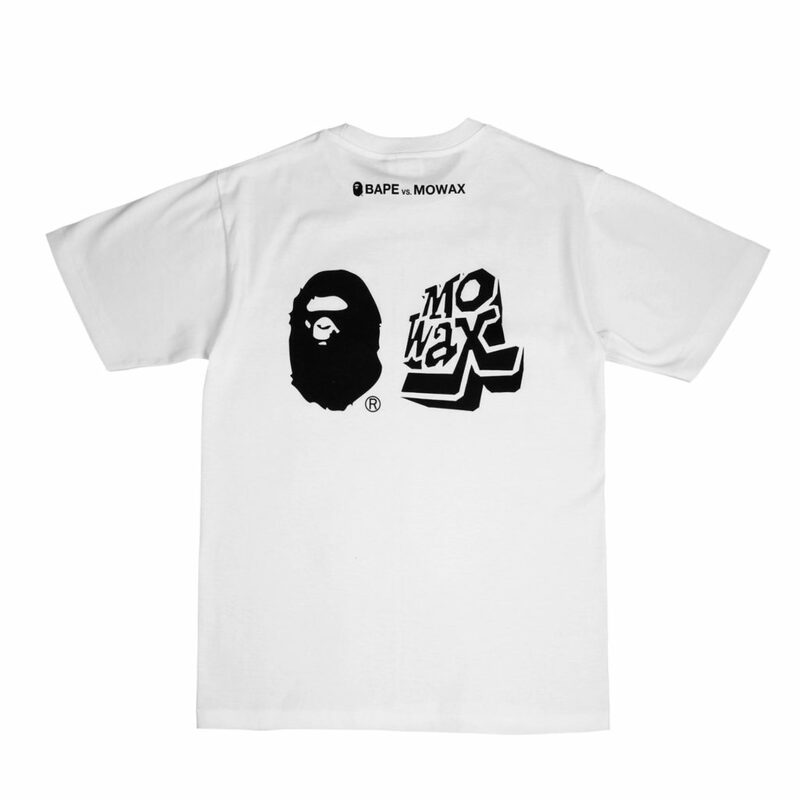 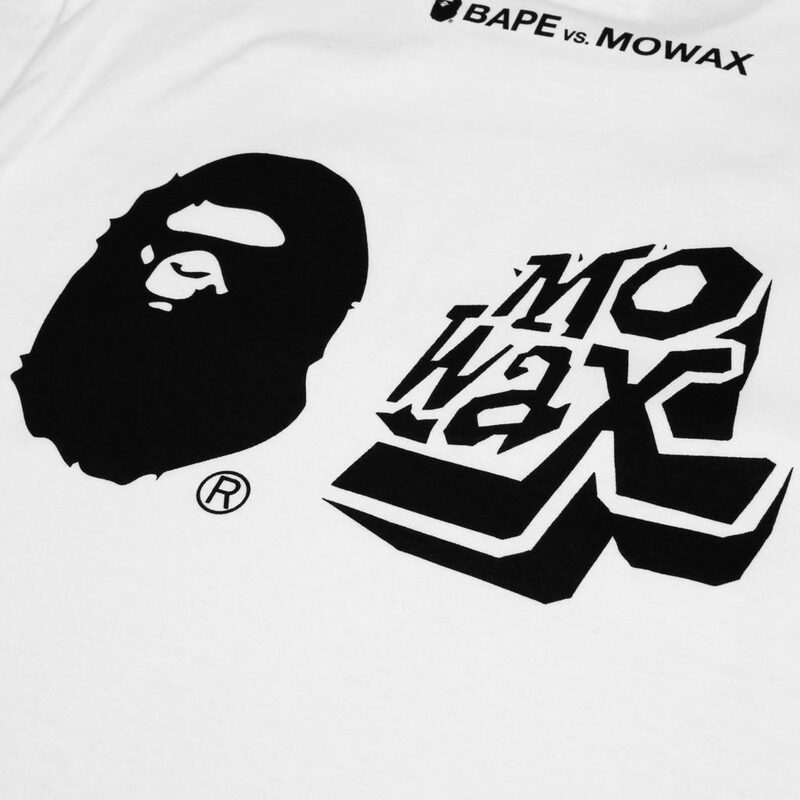 Any kids stumbling across the recent merchandise would be right to assume that Mo’Wax was a clothing label that never made any music.